I hear from widows who wonder about numbers a lot. Does that surprise you? They wonder at the statistics about widowhood too. Did you know that 3 out of 4 women will be widowed? The majority of them are over the age 65, but I’ve heard that the mathematical average is age 54. Those odds might not seem too bad (if you’re not one of them), but add the numbers and you get over one million three hundred thousand women and men widowed per year. That’s 3800 people per day! There are twice as many women as men, but they each grieve and struggle when the reality strikes. I am not a person who is usually interested in numbers. Math was never my favorite class in school. But I’m beginning to realize that numbers tell us a lot about life. Numbers express quantity and connection. For example, if a widow has a lot of family and friends she might have more comfort and support to help with her loneliness and grief. Some numbers make us smile, like an unexpected financial bonus; others are upsetting and worrisome because they mean bad news about our health or loved ones. And speaking of odd numbers, a widow or widower will tell you that the number one is not only stated as an odd number, but it also feels like an odd number! Widowhood does not “fit” right. It feels “odd,” not normal, to live alone. One is an odd number at every event in a world of couples. God understands, though. He is One God, but He is also the trinity—God the Father, God the Son, and God the Holy Spirit. In Genesis when He created the first man He said, “It is not good for man to be alone.” He created the first woman and declared the two would become “one flesh.” God is very interested in numbers! There’s even the book of Numbers in the Old Testament. Many times in Scripture we hear talk of numbers like when Jesus tells us He has numbered the hairs on our head, or when God told Abraham to count the stars and the sand of the sea. Consider the night sky with me for a moment as we stream the following numbers. 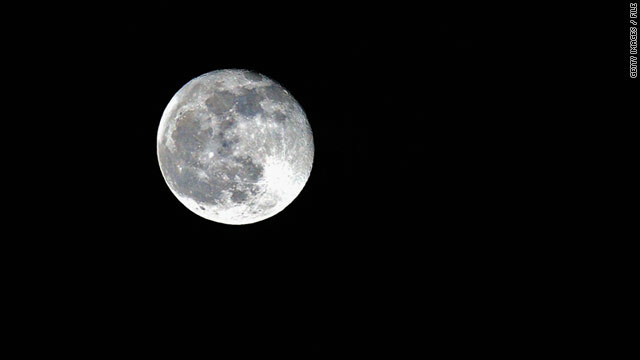 Our moon, that beautiful, glowing pearl in the sky is about 1/4th the size of our planet Earth. In your mind’s eye, picture Earth as 4 times larger than the moon. Then consider the sun. It’s 109 times larger than Earth! Those twinkling little stars we see aren’t very little either. Sirius, the brightest star, is 2 times larger than the sun. Other stars are 10, 25, and 70 times bigger than the sun. A red super giant star named Betelgeuse is 600 times bigger and there are millions and zillions of stars! When I think about how God created the earth, the moon, the sun and the stars I can’t help but wonder how big is God? Is He hundreds of times larger than the largest star? How small am I? What could I ever do to get God’s attention and earn His favor? But God never describes Himself with numbers even though we need them for everything from recipes to riches. Numbers are only symbols; they are a type of language that helps us express the realities around us. But like any language or tongue, no matter how magnificent or beautiful, the language of numbers is nothing without love. Perhaps that’s why the Bible simply tells us, “God is love.” I John 4:8. To our loving God, the most important number is that odd number—the small one—the loneliest number that never fits in or feels right. The most important number to God is you. Three thousand years ago a gentleman redeemer told a young widow named Ruth, “May you be richly rewarded by the Lord, the God of Israel, under whose wings you have come to take refuge.” Ruth 2:12. Then, two thousand years ago God’s only begotten Son laid down His perfect life to eternally redeem any who will come to Him for refuge like Ruth did. One perfect Savior, one fallen world, and each one of us so overwhelmingly outnumbered by weakness, inadequacy, and missing the mark that we can do nothing but give up and give in to Him. In repentance and humility we cry out and ask for His salvation. Widowhood is an opportunity to see God’s solution for the numbers of life and to experience the love He has for you. In God’s math for widows, 1 + God = more than we could ever imagine. So come, take refuge under the wings of the God beyond the numbers. You will find countless rewards and blessings that cannot be numbered. 1 Elliott, Diana B. and Simmons, Tavia. “Marital Events of Americans: 2009.” American Community Survey Reports, ACS-13 , U.S. Census Bureau, Washington DC, 2011. Thank you dear Ferree ~ I needed this this morning. Just beautiful and very uplifting. Thank you Lorraine, I love the thought of "the God beyond numbers," and I'm glad it touched your heart too. I hope you have a sweet Thanksgiving.